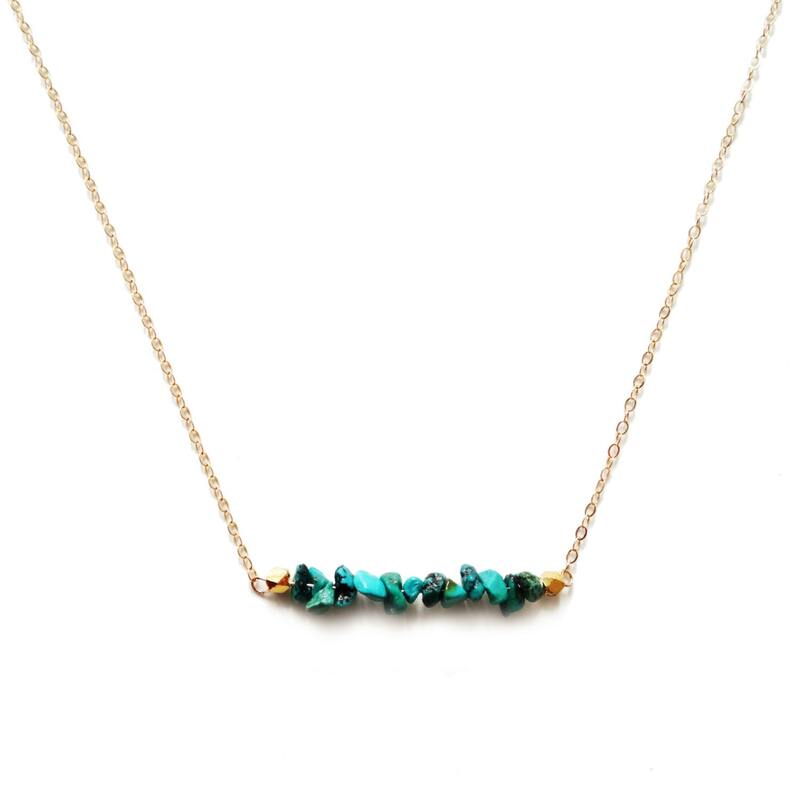 This textured genuine turquoise bar necklace features a bar of turquoise chips suspended from a delicate little gold filled chain. 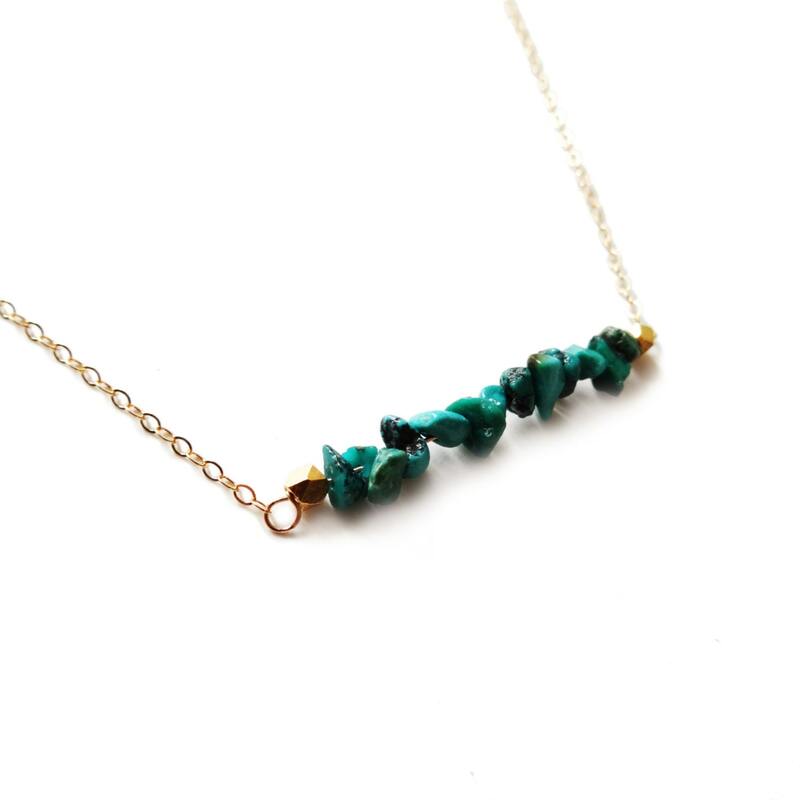 This necklace is perfect alone, but also looks great layered with a couple other necklaces. The stones on this ended up being a bit greener than I expected. Also, I think I chose too long a chain length. I went with 18 in and I think I should have chosen 16. I think it would look better if it sat higher. This pieces is more fantastic in person. I love the color! Delicate but well made! I love this necklace! It is extremely light and beautiful. I enjoyed the fast shipping and easy communication. Would definitely recommend this shop and it's amazing items! !